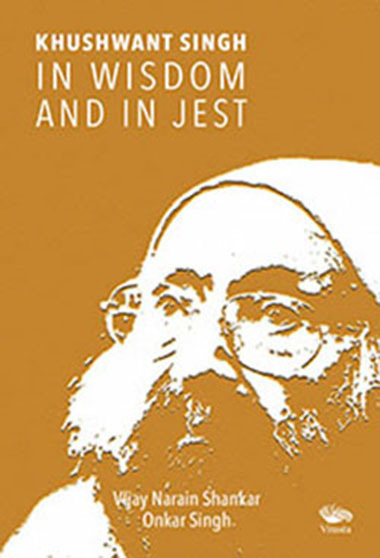 "An icon and legend in his life time, Khushwant Singh was arguably India’s most popular writer. Nothing mattered to him except writing the truth, as he saw it. Writing was his life and his pen wrote on till his last breath. There was a time when literate India could not do without the chota peg of Kushwant—an intelligent tapestry of his secular thoughts, humour, poetry, sarcasm and acid wit. Once called ‘Zorba the Sardar’, Kushwant Singh was a free thinker and a warrior of ideas who used his pen like a sword. As an iconoclast and rebel, he tried to blast the humbug of hypocrisy. His works expressed his anger at issues of communalism, sexual taboos and he had a don’t-give-a-damn attitude to exposing the foolishness of people. Internationally acclaimed for his books, Train to Pakistan and A History of the Sikhs, he was called a ‘dirty old man’ for his explicit erotica. ‘Maybe they call me that because I have a bath after many days’, he said. People loved what he did, what he said and what he wrote. They still do and and that is what this book is all about." Vijay Narain Shankar is a New Delhi based writer and poet and has been a lifetime journalist and editor. He is the author of over a dozen books that include poetry, fiction and contemporary issues, with a special interest in new age spirituality. This book is drawn from his close association with Khushwant Singh over many years. Onkar Singh began his career with the SUN weekly tabloid. He went on to write for The Times of India and the Hindustan Times and later for The Illustrated weekly of India. His story on hate attacks on Sikh taxi drivers in New York won him the South Asian Journalism Award. Onkar Singh is based in New Delhi.